Movement Building and Collective Impact – Anticipate! 1. A community forms around a common goal or aspiration. 2. The community mobilizes its resources to act on the goal/aspiration. 3. The community crafts solutions and acts to deliver them. 4. The movement is accepted by (or actually replaces) the establishment or established regime of laws and policies (Source). If you are involved in a collective impact initiative, these steps should resonate with you, in particular with the five conditions of collective impact. Krisppendorff doesn’t address shared measurement in his post about social movements, but successful movements are always about moving the needle and bringing about systems change to do so. Consider the Civil Rights Movement in the United States. in 1964; the Civil Rights Act rendered discrimination/segregation illegal, especially with respect to jobs and workplace advancement, and termination because of colour. States that did nothing to address discrimination lost federal funding. There were other impacts but you get the gist. Big change for sure. As is often the case, the big changes that get made fuel additional change. In 1965, the Voting Rights Act, addressed the legal obstacles (e.g. literacy tests and poll taxes) that state and local governments had set up to stop African Americans from exercising their constitutional right to vote. Passed in August of 1965, by the end of the year 250,000 African Americans had registered to vote. The impact of such systemic and legal change was likely felt the most in the hearts and minds of African Americans, but from strictly a numbers perspective, here is one stat that exemplifies the impact: “In Mississippi alone, voter turnout among blacks increased from 6 percent in 1964 to 59 percent in 1969” (Source). 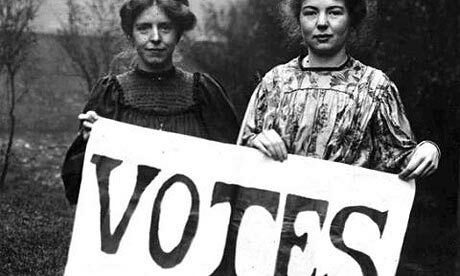 Think of other impacts brought about by movements: the right for women to vote; the abolition of child labour in our country, the legal requirement to wear a seat belt, not to mention not smoke cigarettes in public spaces. All of these changes and so many others were not owned and controlled by any single institution or sector. I am writing about this because the word, “movement” is bandied about and, I suggest, applied loosely to community ventures. Even the adoption of Collective Impact across North America and beyond has been called a movement. I am not sure a model or framework can or should be considered a movement. Best practice seems more fitting. Rallying around a common goal or aspiration is critical to both Collective Impact and Movement Building, but there are differences. First the Collective Impact frame tends to begin with institutional players who then look to include citizens in the work; however, the inclusion of citizens seems to be contextual to what a core group of institutional players identified as the issue(s) to tackle. That’s not to say that citizens won’t join up with the CI cause, but they likely will not experience as many opportunities to influence and act on the development of strategies and solutions that institutions have. This is not a pejorative comment; rather it is more of a challenge to the leaders of Collective Impact initiatives to consider their practices around community engagement, especially when leaders express their collective desire to create a movement around their work. Such a movement implies that there is a community aspiration at work, not just the creation of a common agenda among those around the Collective Impact table. Collective Impact as a model has, as you likely know, be met with some criticism, which is a common experience for any model that is receiving a lot of uptake. Tamarack Institute is a proponent of Collective Impact as a frame within which to work on major community change, in particular systems change. As an organization dedicated to advance the co-generation of learning among community change practitioners, we continually look for new insights to what we are doing, teaching, and consulting about. Every model is imperfect or perhaps a better way to say this is that every model is never a final product. A while back I wrote a paper that expressed some concerns and offered some suggestions with respect to Collective Impact (See Collective Impact: Watch Out for the Pendulum Swing). More recently, Tamarack published an article that I see as a catalyst for the continued development of Collective Impact as a model or framework. As part of Tamarack’s Community Change Series 2016, Liz Weaver and Mark Cabaj wrote, Collective Impact 3.0: An Evolving Framework for Community Change. I encourage you to read it. The context of mentioning it here is that my colleagues offer an iteration of CI that includes movement building as the emerging paradigm and within that overarching theme they suggest that a common agenda may have more potential and impact if developed from community aspiration. Movements will not occur without authentic, large scale, inclusive community engagement and collaborative leadership. Movements have leaders and visible champions, but their activities and impacts tend to be citizen-led — and also co-led with institutions — and manifest in ways that are contextual to those doing the acting. In other words, citizens rallying around a cause will act. They will act differently form one another and at times not always in perfect alignment. As Movements build, the control of efforts become increasingly elusive. People acting as a movement do not report to the CI Round Table; in fact, there will be a lot going on that institutional leaders don’t even know about. This can make institutional leaders nervous. One reason for the nervousness may be that leadership is often seen as including exercising control over what happens and how. As a leader in several organizations I required control in order to get things done. Movement building requires leadership that understands that movements take on a life of their own. They involve citizens working in a multitude of ways, involve institutions shifting their work and engagements, and involve governments making systemic, often legal, changes. While the lead-control paradigm will always exist, life may become even more complex for institutional leaders who help launch movements and then realize at some point that citizen-driven momentum necessarily changes where leadership comes from, how it is exercised, and how myriad leaders impact the overall goal of a movement. I suggest, this reality re-emphasizes on the key attributes I have previously suggested leaders must have: a tolerance for ambiguity. As well, the call to change includes that institutional leaders consider how their biases and habits may pose barriers to acting on their intentions, for example, to help build a movement to end poverty. As professionals, we have a body of knowledge and understanding about elements of community change that citizens do not have. But generally speaking we likely lack a deep and pervasive understanding of living the problem we want to resolve. Most institutional leaders do not live in poverty or are homeless or are wondering if paying the electric bill will mean going hungry for the next two weeks. We understand it intellectually and typically with empathy, but it’s not the same, is it? One of the significant benefits I have experienced when engaged in future-focused conversations with persons who are living in poverty is that their daily experience helps ground me in what really matters. Often they identify problems or issues they encounter that I have not thought of or, because of them, has led to a rethink or expanded perspective on my part. While I may know much more about housing systems and policies than they do, the benefit of their sharing and leadership impacts all that I offer as a “community leader. I adapt, reform my stance or opinion, see and correct wrong thinking, and also grow in my potential to contribute to the impact we all want. Sometimes small examples of institutional habits around needing to have control can help advance understanding. I am a bit of a social media buff and while I am discouraged by all the narcissism and intellectual dribble one finds on Twitter and Facebook, I see this technology as a wonderful tool for movement building. But to use social media as such a tool necessarily means “you” can’t control the message and the engagement. While institutions may say they want to create a movement to end poverty their fears about engagement (and losing control and power) often move them to moderate postings and comments from the general public. In other words, those who have something to say about the “movement” are vetted by institutional players, which really doesn’t bode well for movement building, does it? I understand the worry. When I was the CEO of Bissell Centre in Edmonton, we became sector leaders in the use of social media as an engagement tool. When we built our Facebook page, I made the decision to not moderate postings. I am not sure all of my colleagues were comfortable with that decision as they worried about people saying nasty things about our organization. I worried about that too, but my decision was based on a desire for engagement. How could I foster conversations among our followers if what they had to say required my approval to be posted? As it turned out, it was rare that a posting by a community member caused us consternation. We did have some rules about postings (no profanity, no racism, and the like) but if someone commented negatively about Bissell Centre or even me as the CEO, that comment deserved as much a presence as those voices saying things we loved reading. During my five year tenure there, I may have deleted a public comment three or four times – always about profanity or personal attacks that were vicious or cruel. Other than that, when we were criticized we participated in the dialogue. We asked more questions; we offered our perspective. Doing so prompted others to join in as well. What really amazed me though was that when someone posted a comment about us that other followers judged to be incorrect or to be insulting, they jumped in and had their own exchange with that person. Often, none of us on Bissell staff participated; there was no need for us to do so. The community took care of the issue. I am encouraged by the degree that institutional players are talking about movement building. The challenge we face now is how to acquire the attitudes and skills and relationships that allow us to be catalysts for movement building, that foster a genuine belief in community engagement as fundamental to improving social conditions and the lives of individuals and families. For funders, the challenge includes how to accept that community engagement can yield results that cannot be predicted in our diagrams and outcome statements. Community engagement is simultaneously a process and an outcome and I suggest that the process should have more weight than our tendency to equate ROI with the achievement of pre-determined outcome objectives. I am not saying resource providers should not have an end in mind, but the measures should be focused on the big needle change factors like women voting or securing the rights of all people to have a home. But also, the extent to which funders can accept that community change and movements produce results and learning that are often impossible to predict will also help all of us look at resources differently. For service providers, the challenge is no less foreboding. Traditional human service providers may excel at service provision, but when it comes to community engagement they often are walking into foreign territory. Those organizations, for example, who see the community as the enemy when proposing another social housing project may win the battle but fail to create a movement across communities to see housing the marginalized as critical to community health and well-being. Governments have to consider how they must change as well. In fact, one could argue that governments should have community capacity building as a primary strategy, so that communities can take more leadership and control over addressing problems and setting and achieving aspirations that benefit their members. So it is with the private sector. The myriad CSR initiatives led by corporations are understandably not citizen-led. Typically CSR priorities are connected to business purpose and to employee desires in terms of community involvements. Movement building will include employees of businesses and also challenge corporations to join the movement, which could very well have change implications about how a business sees itself in community. Imagine what might happen if non-profit service providers, funders, governments, and businesses focused on building community capacity for leading and effecting social and economic change. Add political parties to that mix as well; they spend more time trying to prove one another wrong than getting together to optimally serve the citizens that elected them. I believe the transformation that we need and talk about must address all of the ways we avoid real change, and why. Successful movements require personal change – changes in perspectives, changes in habits, and new ways to see what community health and well-being actually look like. I have been at this work for a long time, and fully admit that I can be as self-serving and myopic as anyone. Sometimes I get discouraged. Sometimes when someone says to me that poverty will never be eliminated so let’s just make the lives of the poor easier, I can feel the impulse to nod my head in agreement. But I don’t give into that impulse. I imagine you don’t either. The transformation required to build effective movements to address seemingly insurmountable problems begins with each individual, no matter where they located in the community, no matter what sector they work in, and no matter their economic status. Whatever it is that you believe, whatever spirituality guides your life, and regardless of those you love, ignore, or hate, we are here living on this planet together. We are dependent on one another, aren’t we? Does anyone really believe that the world is MY oyster, that we were born to live at the expense of others? Perhaps each and everyone of us is here on earth for “the other.” And perhaps if that perspective took hold we could see clearly that we are better together, that the “common good” is actually about give and take, and more fully understand what “being human” means and can mean — for all of us.